Tuesday night the Edmonton Oilers fired General Manager Peter Chiarelli at the second intermission of their loss to the Detroit Red Wings. Yes, you read that right, the Oilers fired their GM at the intermission of a home game. Ownership just reached a breaking point following the team’s lackluster performance against Detroit and made a move they should have made years ago. The question coming out of the firing is why allow Chiarelli to extend new starting goal tender Mikko Koskinen to a 3-year deal at 4.5 million per season on Monday? Koskinen has played alright this season for Edmonton and looks like he has some upside, but there is no way to justify that deal for a 30-year-old net minder after just 25 starts. But then again, it’s hard to justify almost all of Chiarelli’s moves. From trading Jordan Eberle and Taylor Hall for almost no return, to trading key 2015 draft picks for Griffin Reinhart, and let’s not leave out the long-term deal to which he signed the aging Milan Lucic. What’s done is done and Keith Gretzky now takes over as Edmonton’s GM. Whether it’s Gretzky or another person from outside the organization, turning the Oilers around will be a monumental task. Despite ownership saying they will be patient, it’s hard to be patient with Connor McDavid not getting any younger. Now, with the All Star break upon us, we’ll skip the game of the week and look back at the first half of the season. The Islanders are the NHL’s best story this season as they have rebounded brilliantly from losing John Tavares to free agency. New Head Coach Barry Trotz and company lead the Metro division by three points headed into the All-Star break. They have changed their entire style of play, becoming the best defensive team in the NHL with top-notch goaltending coming from Robin Lehner. Matt Barzal is one of the league’s top offensive players and his supporting cast has done their part. With their return to Nassau Coliseum the Islanders have true home-ice advantage, giving them a chance to not only reach the playoffs, but make noise in the spring. Unlike our first team, the Calgary Flames returned almost their entire roster this season. This is a roster loaded with talent, despite having fallen short of expectations the last few years. New additions Elias Lindholm and Noah Hanifin have been solid, and backup goaltender David Rittich has taken the starting role from Mike Smith and given the Flames the consistent goal tending Johnny Gaudreau & Co. have needed for years. But their biggest improvement has been behind the bench with Bill Peters as the head coach. The former Hurricanes bench boss has brought the best out of this group as they lead the Pacific division by 6 points. This team has the potential to win it all and will be buyers come the deadline to reinforce this already deep lineup. After narrowly missing the playoffs last year, the Florida Panthers were a trendy pick to play spring time hockey this season. But nothing has gone according to plan with starting goalie Roberto Luongo and star center Vincent Trocheck missing significant time with injuries. Aleksander Barkov has had another outstanding year but the help just hasn’t been there and this team sits 10 points out of the playoffs going into the second half. Much like the aforementioned Panthers, the Blues – on paper – looked like a sure-fire playoff team with offseason additions like Ryan O’Reilly and Tyler Bozak rounding out their club. Unfortunately, the game isn’t played on paper as just about everything has gone wrong. Jake Allen has struggled in-goal, outside of O’Reilly the offense hasn’t been very potent, and they had to make a coaching change as Mike Yeo was relieved of his duties in favor of Craig Berube. They’re still in the race for the last playoff spot in the west but this season has been a mess under the Gateway Arch, and it may lead to them cleaning house with a few moves at the deadline. Uploaded by Hockey Points on 2018-10-23. Our first standout rookie is this past year’s number 1 overall pick, defenseman Rasmus Dahlin, who has been a huge part of the Sabres’ rise to playoff contention. With strong defensive play and contributions from the back-end with 26 points in 48 games, he joins a core of leaders in Western New York that should make the Sabres successful for years to come. They have struggled since their 10-game win streak earlier this year, but Dahlin and company are right there in the mix, more than we can say for them in years past. The NHL’s top rookie is the brightest of the rising stars this year as the former 5th overall pick is playing at well over a point-per-game clip with 45 points in 40 games. Despite missing some time with an injury, Pettersson has re-energized the fan base in Vancouver as he leads a young core with Bo Horvat and Brock Boeser working alongside him. With number 40 running the show, the Canucks have their fans thinking playoffs, as they sit just outside the last wild card spot in the west to start the second half. Watch as Vancouver Canucks rookie Elias Pettersson scores his first NHL goal by ripping a shot past Calgary Flames goalie Mike Smith. In a rebuilding year where the Broadway Blueshirts have struggled to find any consistent level of play, they have had some strong performances go unnoticed. I could have picked Chris Kreider, who is enjoying his best season of his career. But instead we’ll go with centerman Mika Zibanejad, who has 44 points in 48 games and is easily on pace to shatter his previous career high of 51 points. His two-way game has improved and he, along with Kreider, looks primed to be a new headliner on Broadway for years to come. Rangers forward Mika Zibanejad racks up five goals and two assists in three games, extending his point-scoring streak to five games in the process, to take home the second star of the week For the latest hockey action, subscribe to our channel by clicking the big, red shiny SUBSCRIBE button Watch live hockey wherever you are: https://www.nhl.com/tv Breaking news, scores, stats, analysis & real-time highlights: https://www.nhl.com Feeling social? Our second underrated player this year is Golden Knights center Paul Stastny. The defending western conference champions added the 33-year-old journeyman to be the missing piece on their route to winning it all. They only had him for 3 games before he sustained an injury that held him out for over two months. But since his return on December 14th, Stastny has 18 points in 19 games and his two-way play is as strong as ever. Stastny’s work on the second line has brought balance to the Knights’ offense and gives them a chance to contend with the best in the West, and they’ll need him to match up with the top players in San Jose and Calgary during the pacific division playoffs. 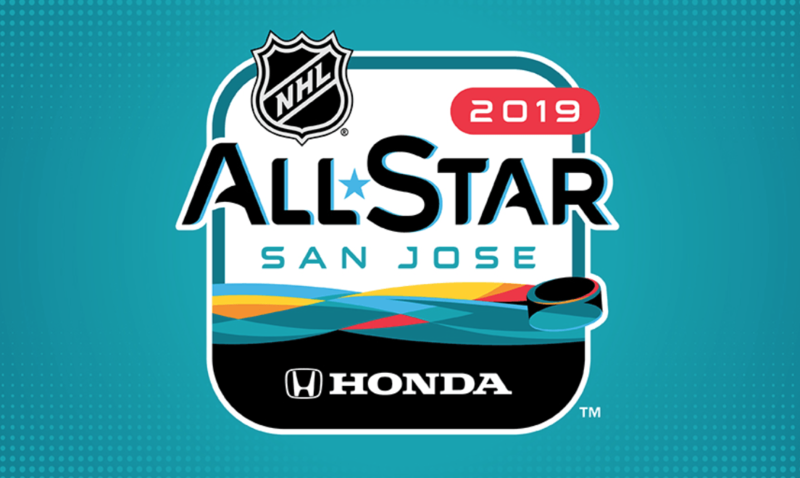 Enjoy the All-Star festivities this weekend, it should be a fun one in San Jose with some of the most passionate fans in the league showing their support. Skills night will feature the best talents in the game showing you their personalities and flashy ability and the 3-on-3 tournament is always entertaining. I’ll take the Atlantic division All-Stars to win the tournament Saturday night with their lineup boasting some of the best players in the league. Stay tuned here on Slant Sports as we’ll have another edition of the Wrap dropping in the days with 2nd half predictions that will include end of season awards and who makes the playoffs. Remember you can talk hockey with me on twitter @PBPNick.